As a North American, I had always thought of Cuba as being a resort destination. This is where those on their holidays would spend a week at an all-inclusive beach resort, while laying on pristine sand and sipping endless mojitos. 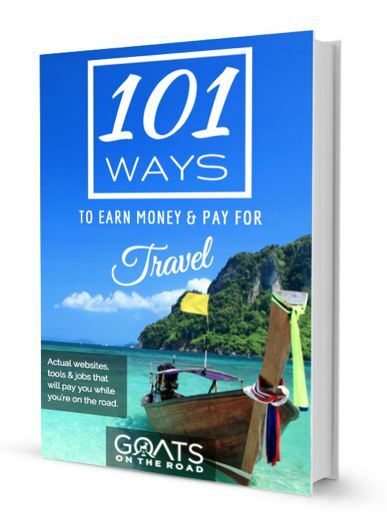 However, after returning from a 3.5 week backpacking trip to the largest island in the Caribbean, we now know what it has to offer independent travellers: Everything. 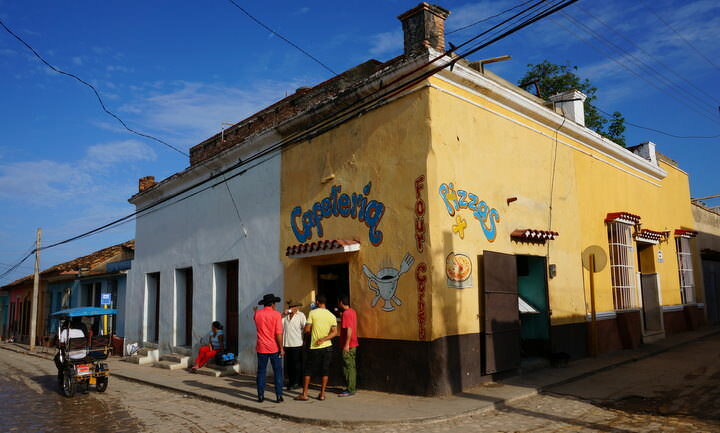 Cuba is a mix of African, Latin and Caribbean cultures, all of which are fascinating and all of which offer lively music, spicy dancing and beautiful people. 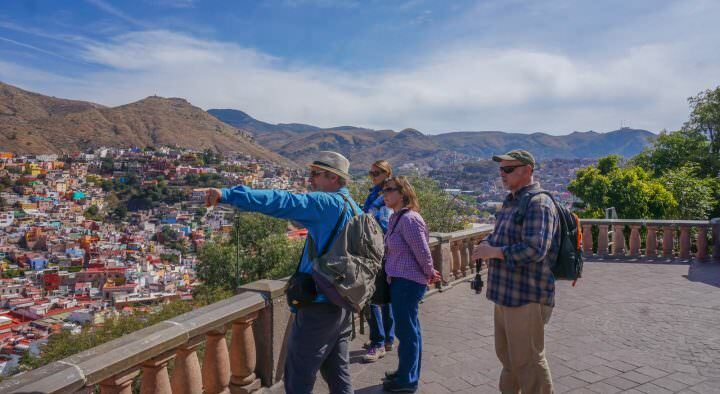 The landscapes range from mountains to jungle to beaches, while the architecture in the cities feels lost in time. 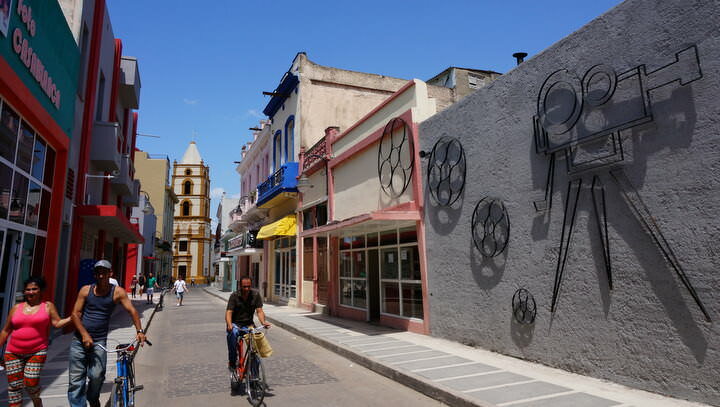 The streets of the colonial towns are bustling, while the rural countryside seems to stand still. The history of this nation is fascinating, while the struggles that the people face are very real. Although the sights may be incredible, meeting the locals and hearing their stories will be a highlight of any trip to Cuba. Our camera was overworked during our trip – we actually needed to clear off our memory cards a couple of times! Check out these 31 unique photos which show an interesting side to this photogenic country. A graffiti-ridden wall in Central Havana. 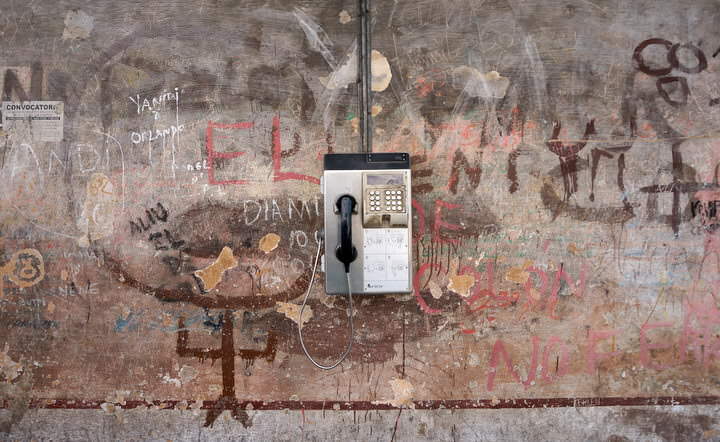 Payphones are commonplace in Cuba, as the cost of using a cell phone is extremely expensive. 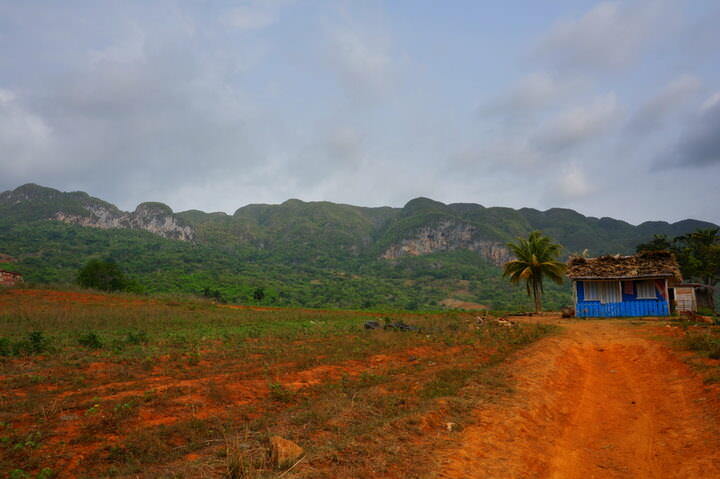 A rust-coloured road leading to a bright blue home in the countryside of Viñales. 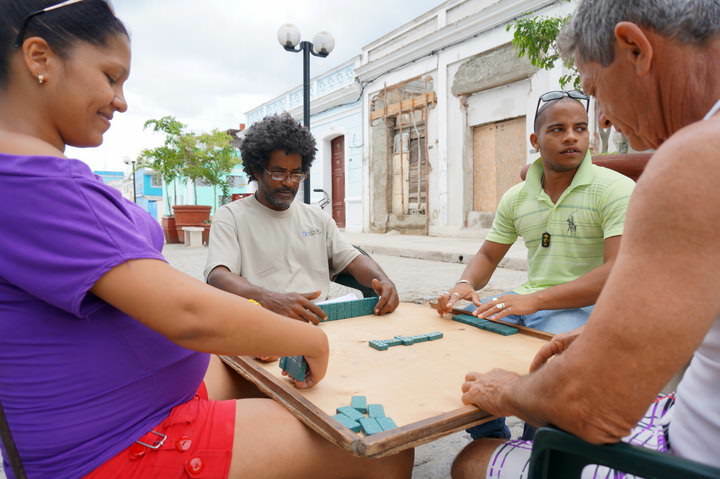 A friendly street game of Dominoes in Cienfuegos – no cheating! 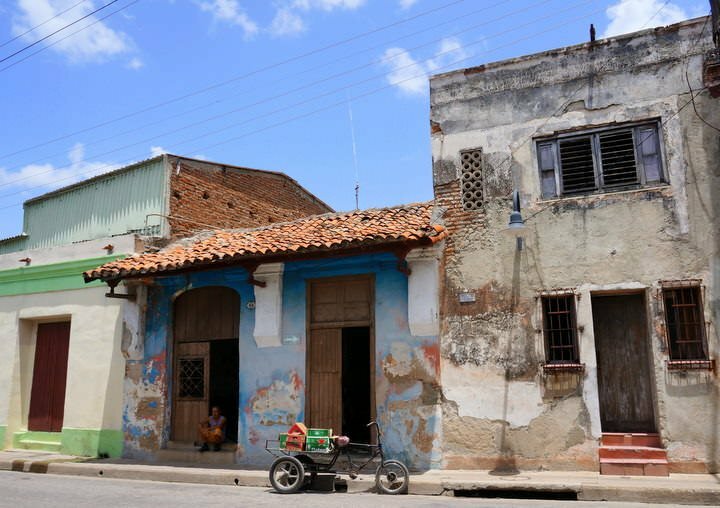 Camagüey is known as being Cuba’s Catholic Soul. 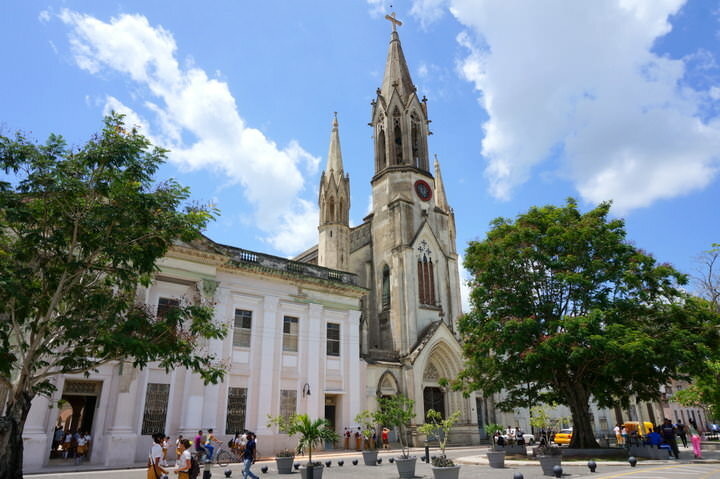 Numerous cathedrals and churches can be found around the city. This is the gothic style Sacred Heart of Jesus Cathedral. 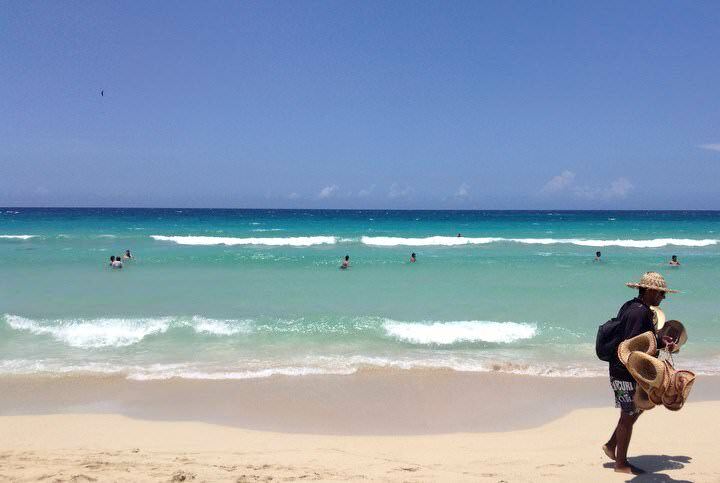 The stunning Playas del Este beach is just a 20 minute bus ride outside of Havana. A cycle taxi rests against the curb in Trinidad. This is one of the more popular modes of transport. 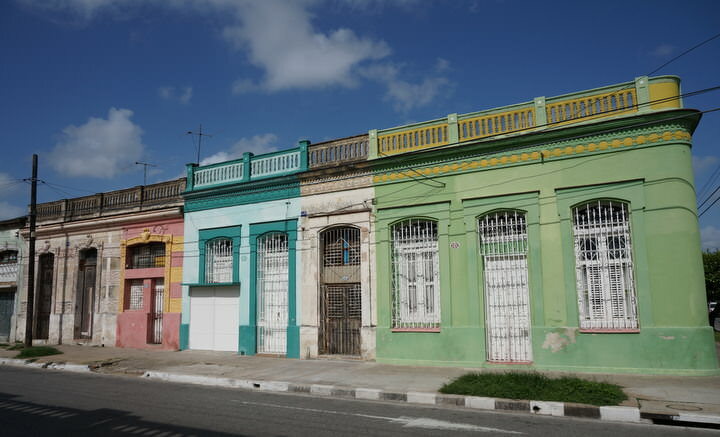 Pastel coloured buildings line the streets of Camagüey. 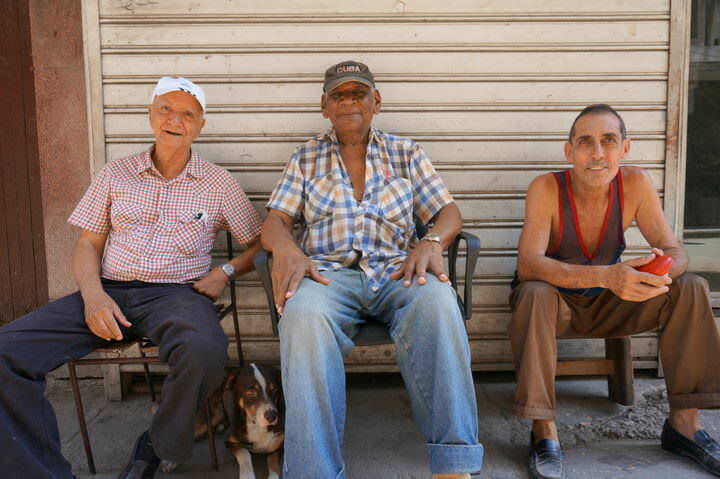 Men hanging out on the streets of Central Havana. 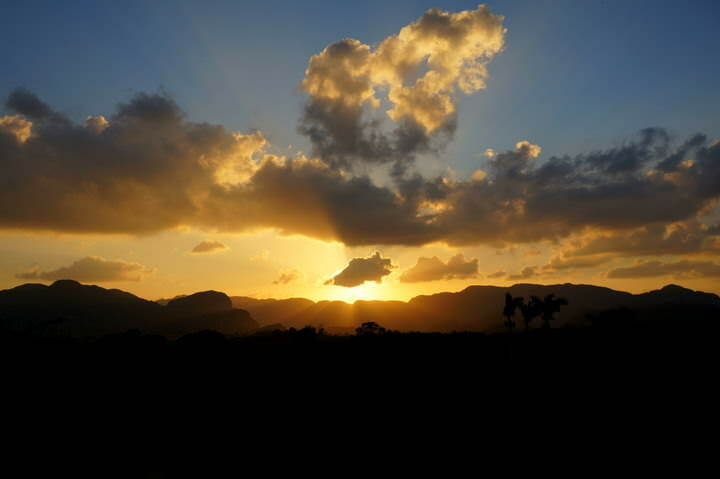 The sun setting behind the mogotes in Viñales. Find your own private to watch this colouful display. 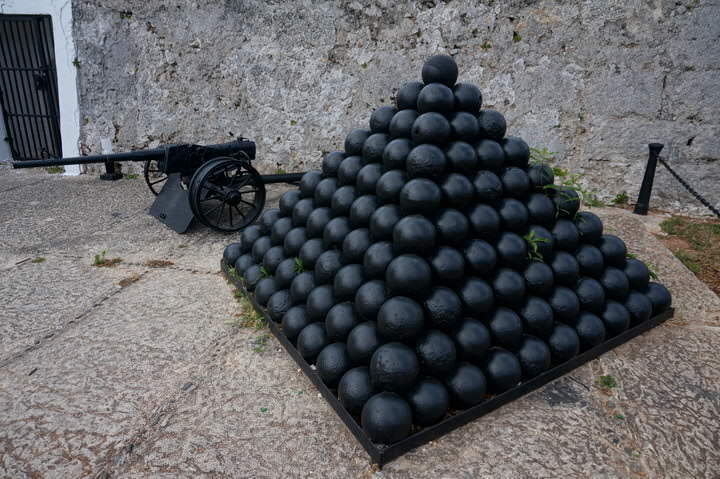 Cannonballs resting in perfect formation at the Fortaleza de San Carlos de la Cabaña in Havana. An at-home business. 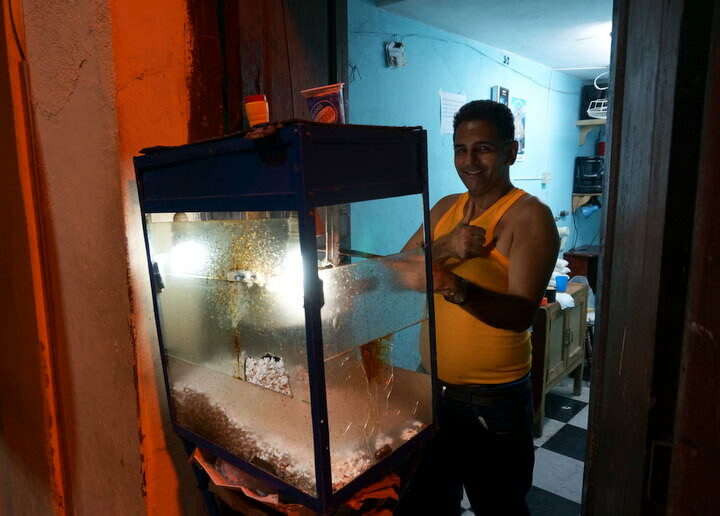 This man was deaf and sold popcorn on the street, just outside of his front door. 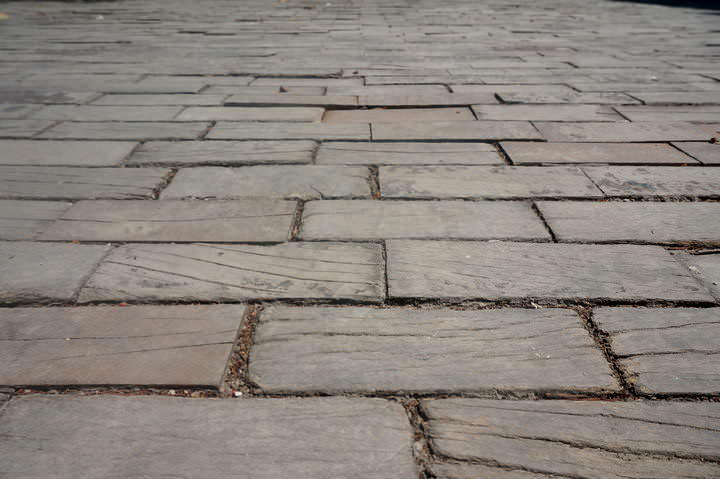 Wood brick street in Old Havana, the only remaining street of its kind in the country. 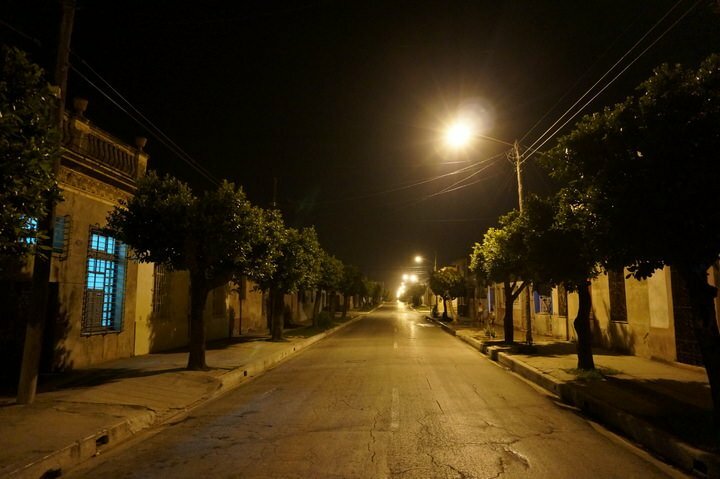 An empty street lit up at night in Camagüey . 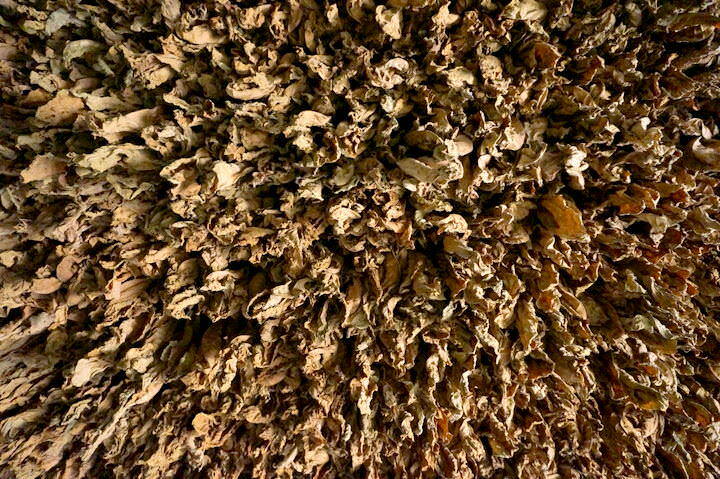 Tobacco leaves drying from the ceiling of a barn in Viñales. 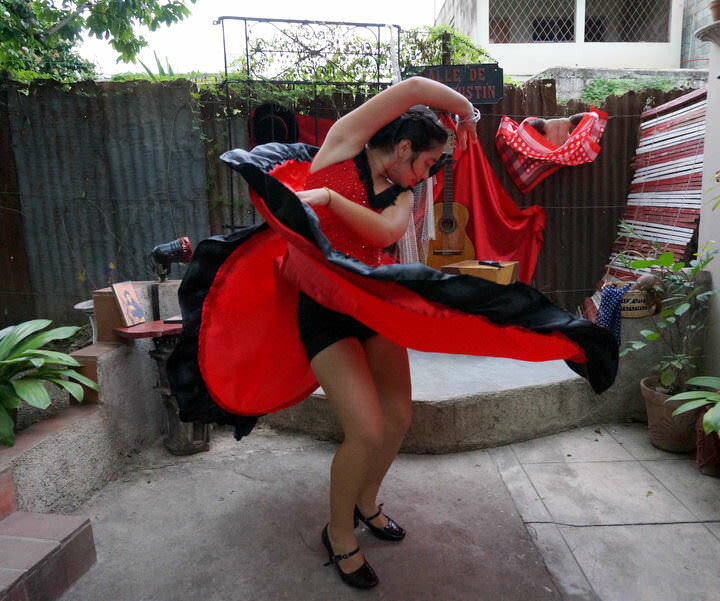 A night of Flamenco dancing, poetry reading and Spanish cuisine in Cienfuegos. 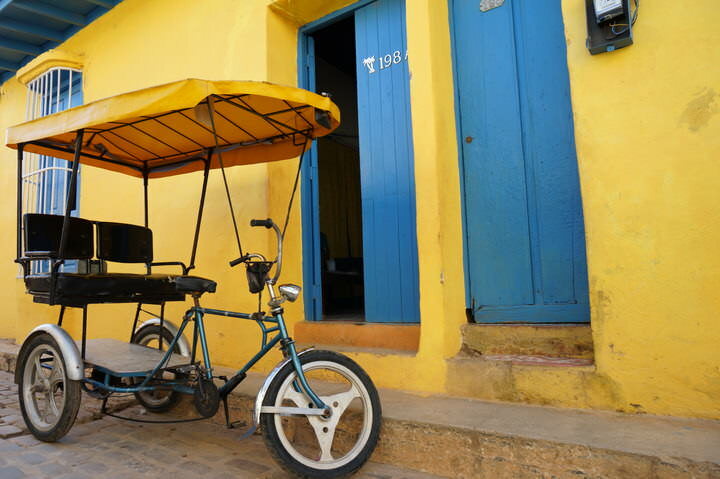 A cycle delivery owner takes a break in Camagüey . 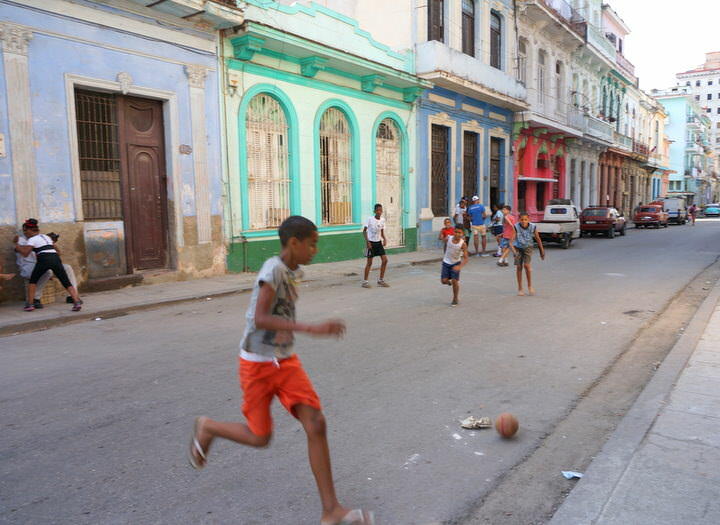 A game of football on the streets of Central Havana. Dried-up mangroves on the shores of Cayo Jutias. 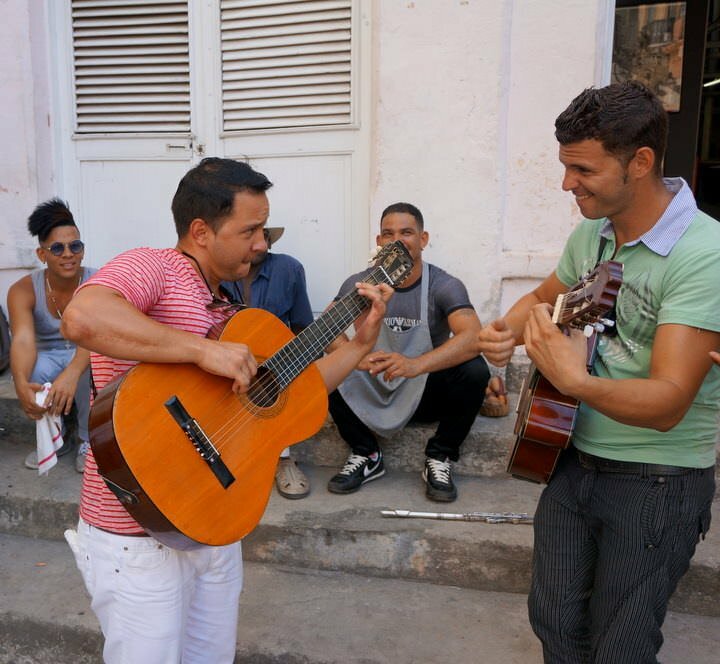 Live music on the streets of Old Havana. A gift for Mother’s Day in Camagüey. 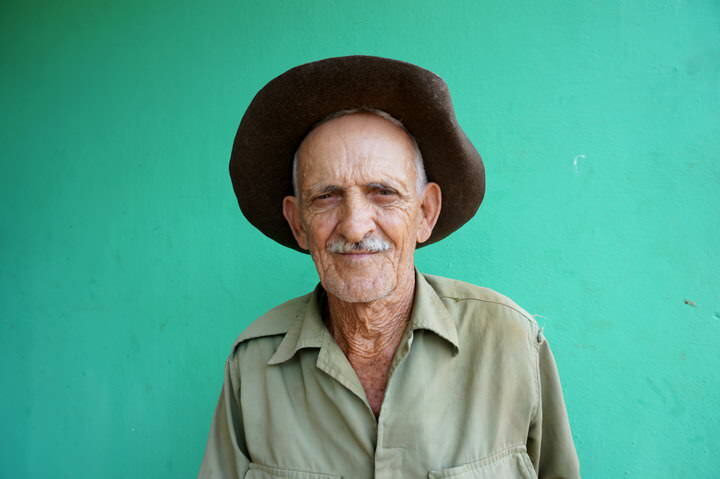 A friendly man in the countryside surrounding Viñales town. 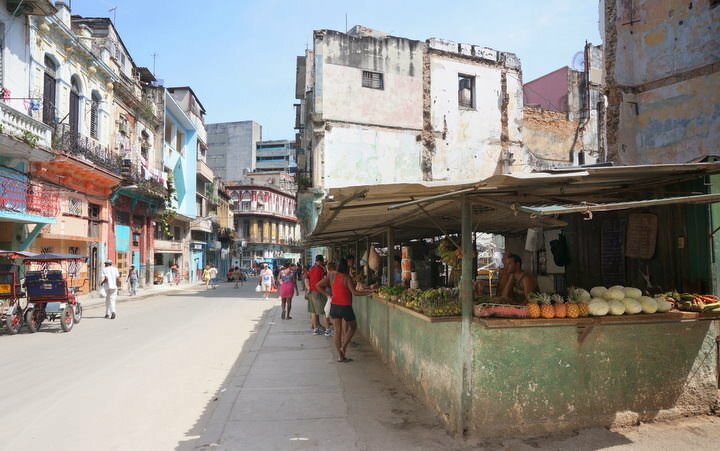 A typical fruit & vegetable market in Central Havana. 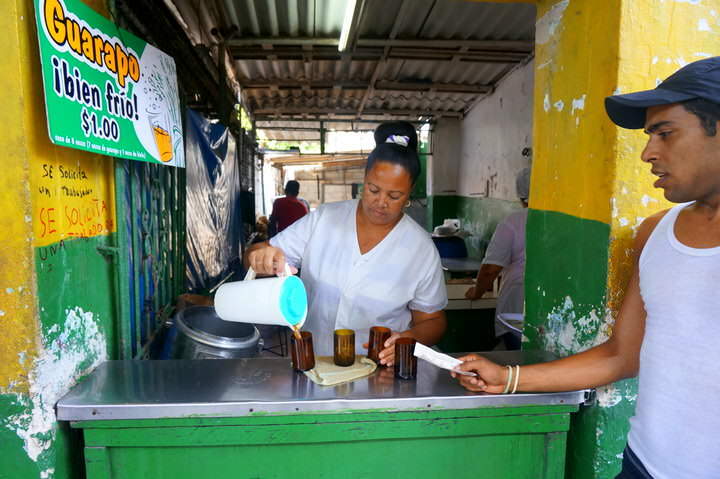 A peso shop in Central Havana selling guarapo juice (sugar cane) for 1 peso ($0.04) a glass. Cold, cheap and refreshing. 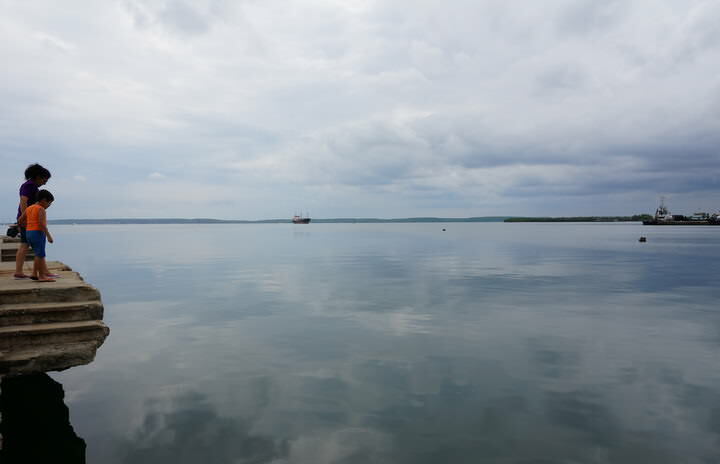 Reflections on the water in Cienfuegos. 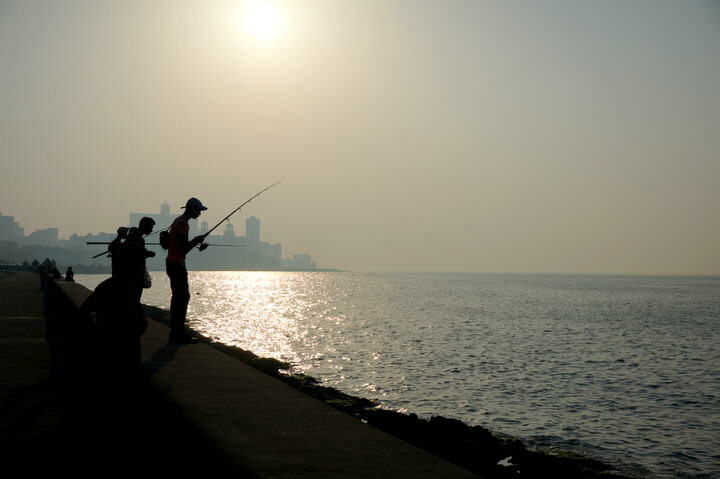 Fishing along the Malecon in Havana. 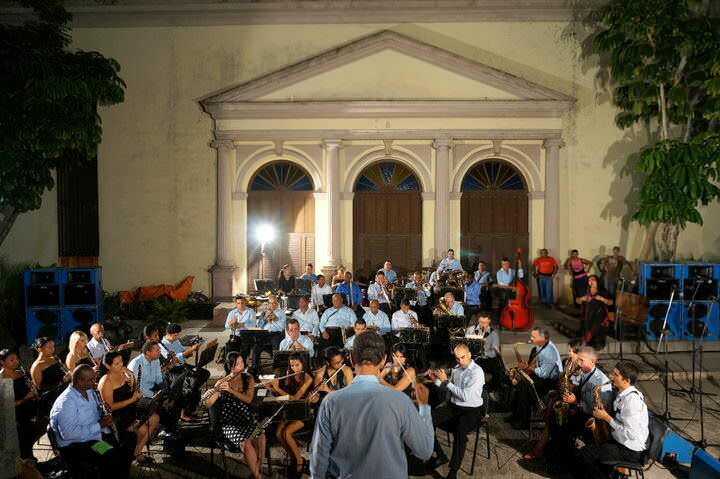 An outdoor symphony in Parque Ignacio Agramonte Plaza in Camagüey. 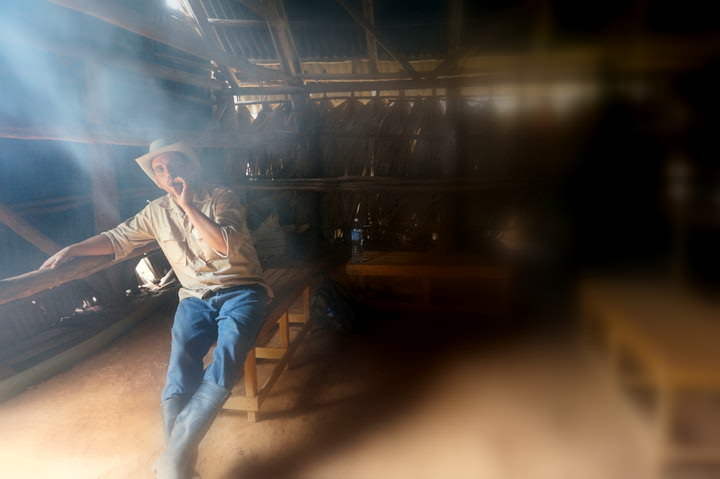 In a cloud of cigar smoke at a tobacco farm in Viñales. Early morning coffee in Trinidad at a peso shop. Playing for tips along the Malecon in Havana. Thanks for the comment! Check out out Guide To Cuba https://www.goatsontheroad.com/the-ultimate-guide-to-independent-travel-in-cuba/ for some good info. Two weeks is alright but I’d definitely recommend taking a flight across the island to Baracoa if you want to see that area. The transport is really long (Cuba is huge!) and you have to spend some overnights to get there. If you just see the areas we saw, then 2 weeks is pretty good. 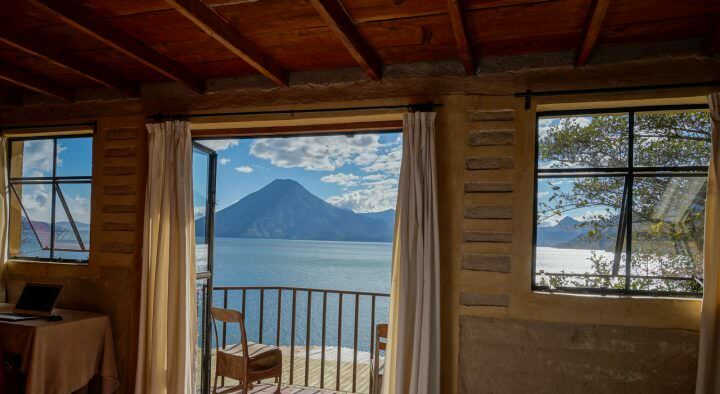 We took 3 weeks but we stayed in some places for 5 days to a week. Wi-Fi is getting more and more common there now and there are even some public parks where you can access Wi-Fi. We purposely stayed offline, but if you really needed to and you had time to wait in line, you can find wi-fi in almost every city you’ll likely end up. Enjoy Guys! You should’ve went at the same time as us so we could have met there! Guess we’ll plan to meet up somewhere else soon 🙂 Mongol Rally? Really nice photos guys 🙂 Cuba was actually our first trip together about 9 years ago but at that time we were into the resort vacations and not backpacking like now. 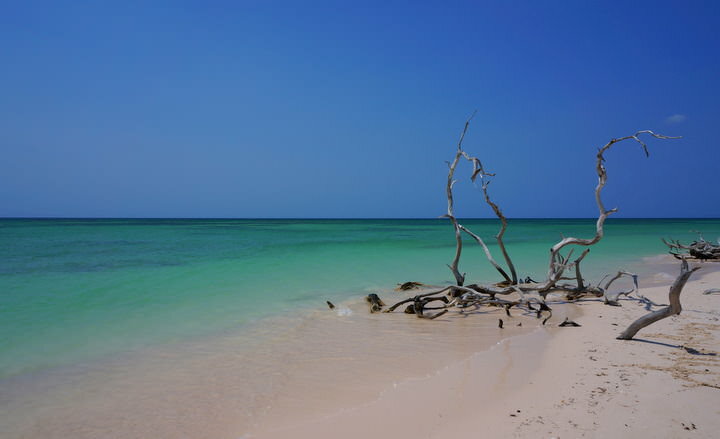 We stayed around Cayo Coco which was beautiful and I do remember the waters were the warmest in the world. We would love to go back to Cuba but do it properly like you guys did. Looking forward to reading through more of your blog, cheers guys. Dan has been bugging me about going to Cuba for ages now, but I was worried it might be difficult to get the best out of it as independent travellers. Thanks for showing me your view of the country. I’m not sure why, but I’m very intrigued by those wooden bricks. What an interesting idea! Great selection of shots covering various aspects of the culture. 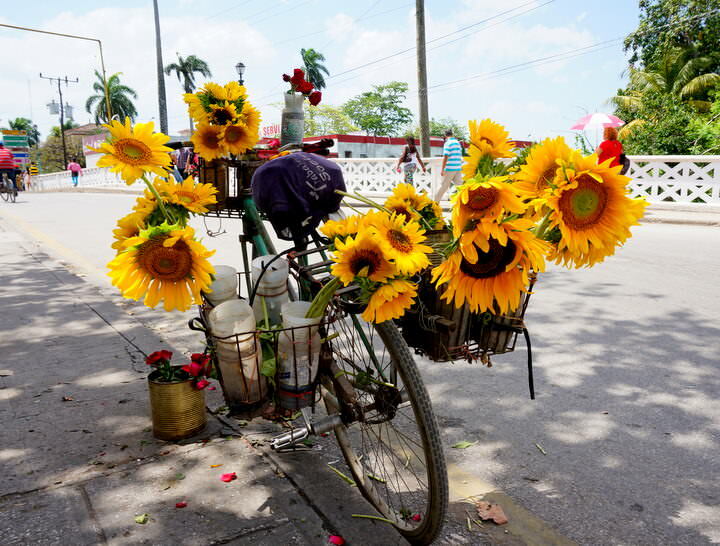 I very much liked your photo A gift for Mother’s Day in Camagüey – It shows how innovative a peoples could be to survive the way the owner created a store front on his bicycle; tounge in cheek I would call it: “flower peddler on his set of pedals”. The Pop Corn vendor also shows survival initiatives and the uniqueness of a road built from wooden sleepers is something to be photographed. I will be spending 2 weeks there in January and will definitely take the SLR along instead of the little camera which I normally travel with. Is that wooden sleeper road easily found. We will be doing our own thing between Vinales and Cuba de Santiago so have a lot to do in such a short time – at least we are renting a car so will e able to come and go and stay as we please. What amazing photos! I’d love to see more food photos – did you eat well? It looks so beautiful there. The pics look amazing. This is definitely a place that I’d like to get too before it becomes touristic. Seems that it has so much to offer. 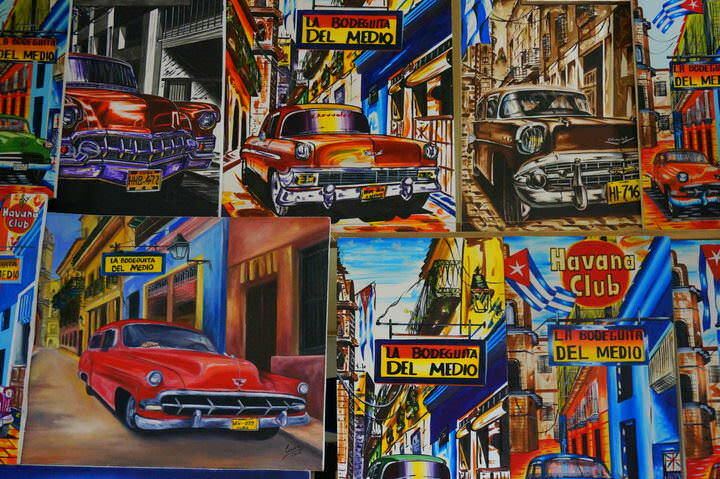 Many destinations in Latin America including Cuba are very interesting in terms of culture, arts and history. Good job in selection of attractions and nice photos. Cuba looks like a photographer’s delight! Can’t wait to get there! These are bringing back so many great memories of my 2008 trip to Cuba! I visited a lot of the same spots as you! On my bucket list for sure! 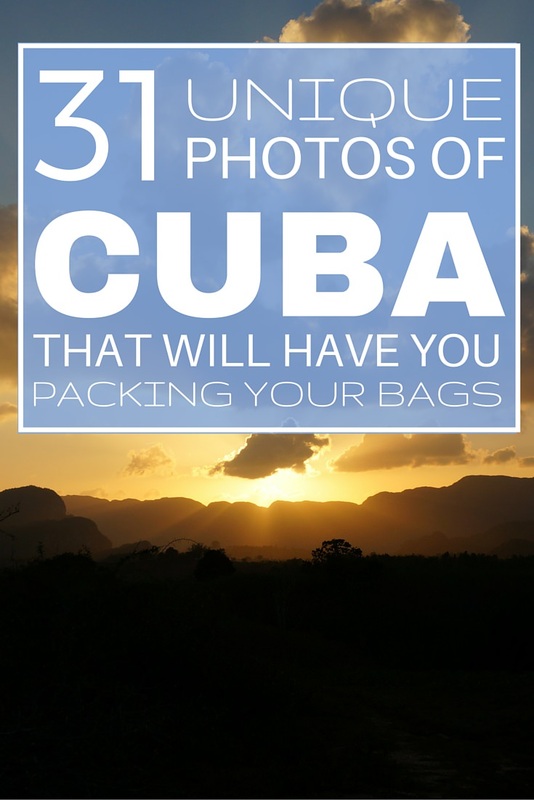 I am so intrigued about Cuba….love each and every one of these 31 pics! Thanks for sharing! This brings great memories from my trip in 2001 and though a few years passed it seems that not much changed! Lovely captures! This is how I want Cuba to look when we go. 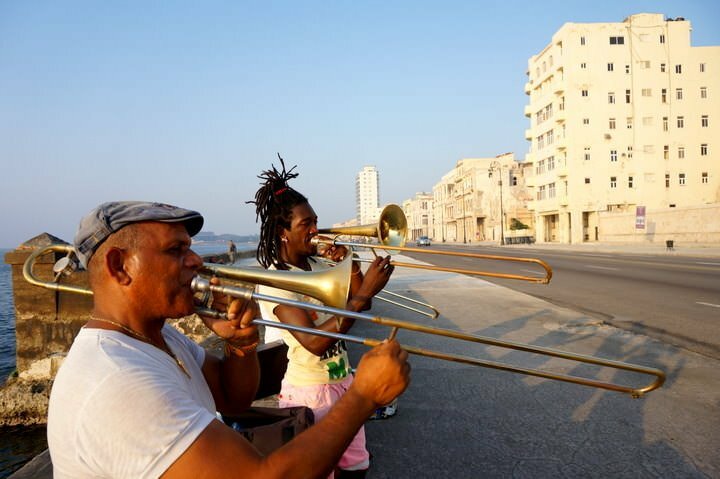 I love the photo of the musicians in Old Havana and the men playing dominoes in Cienfuegos. I hope it doesn’t change too much, but I don’t think anyone can change culture, art and history. I also visited Cube a while ago. How did you find food in Cuba? I personally think that their cousine is not that great. Great blog and great post. Will be checking regularly. 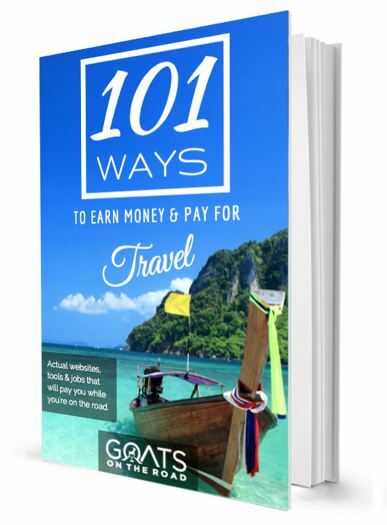 Hi goats… I’m on my way to Cuba for 5 weeks.. Daniel is fetching me at the airport. The casa u stayed atin Havana .. I’m there a week .. Wondering if I should fly to Baracoa then trek back to Havana where I fly out of..thanks I love your pics stories… I love to travel too..